What is OceanSafe? - m-schweizers Webseite! What is OceanSafe? OceanSafe is the solution for the future to prevent additional waste and toxins polluting the environment. All OceanSafe products are bio-degradable and turn into nutrients. All components are entirely harmless for the biological circle. Before even starting with developing an OceanSafe product, thought is given to it’s end of usage, to ensure the product is going through the biological circle in it’s entirety. This leads to the usage of high quality materials. Qualtiy and ecology are not opposing each other. According to official studies there will be more plastics than fishes in the oceans soon. Textiles unfortunately are the main contributer. Each time you wash, make or use textiles, countless fibers get into the water cycle. For textiles based on petrochemicals, these fibers are microplastic. For natural fibers, plasticizers, synthetic resins, dyes and finishes are causing the problem. OceanSafe prevents both. The fibers are bio-degradable and only additives and finishing that are safe for the biological cycle are used. Cocooning in our homes ... The evaporation of conventional home products often polluts after installation for several months. Every OceanSafe product is tested and certificated by Cradle to Cradle for evaporation. As no harmful substances or fibres are used throughout the whole manufacturing process, nothing can evaporate. 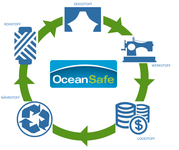 OceanSafe has been developed to return every product into the biological cycle after use. In order to ensure that the valuable nutrients do not get lost, a repurchase system or deposit system will be developed with the respective providers. We return all repurchased products to an industrial composting plant, where the materials turn into nutrients in form of gas and soil fast. These nutrients are used again to create new products. 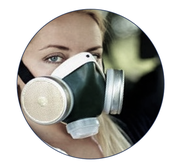 OceanSafe™ means no harmful substances and no materials which harm the biological circle. 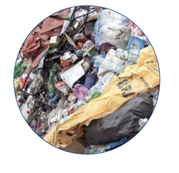 The common dominator of the material is the biodegradability of the fabrics, no matter whether they are made of petrol chemical materials or are made of natural fibres. 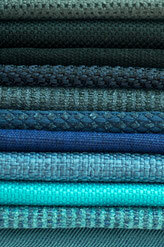 We want to get these materials back and ensure that these fabrics will be brought back into the biological circle. What ever is washed out during the washing process is not harmful for our oceans, each single micro fibre from the OceanSafe collection is bio-degradable.